Why do some golfers make smooth, effortless swings that deliver impressive power while other players attack the ball with aggression and speed and yet, however hard they try, always seem to come up short? 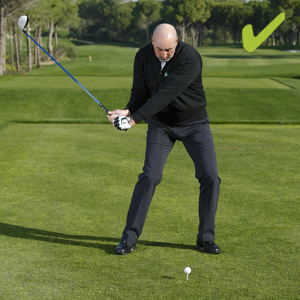 The simple answer here revolves around certain key mechanics in the golf swing that will help you find genuine speed just as you need it most - through impact. One common fault I often see that costs power is casting. This is when a player starts his downswing and instead of keeping the angle in his wrists that was set at the start of the backswing, his wrists uncock. This causes the club to be thrown away from the body. Remember, the injection of all-important clubhead speed that delivers genuine power comes as you release the angle in your wrists through impact. If you release this angle too early, you'll be releasing the stored up power created by a good wrist action. 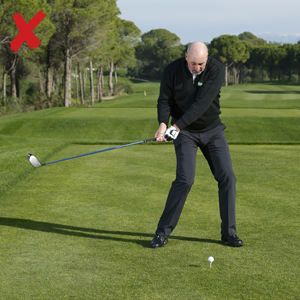 The way in which your hands work through the swing is a basic fundamental that will not only help you hit the ball longer but straighter as well. 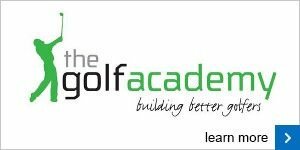 As the club professional I am always here to help you reach a higher level of performance in your own game. 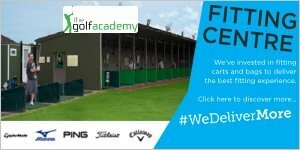 Please come into the shop and see me if you are looking for help with any area of your game.